Fifty years ago this spring, Lagoon was the setting of a key moment in the history of The Monkees. Although the band was created by Hollywood producers for a TV show beginning in 1966 and media critics nicknamed them the Pre-Fab Four, Davy Jones, Michael Nesmith, Micky Dolenz and Peter Tork quickly rose to fame as The Monkees. They sold millions of records while constantly struggling to prove they had become more than just actors, but a real, working band. It’s different from the Beatles’ movies. It’s intense and severe, and it exposes much of what all rock groups went through but nobody had the guts to tell. In the movie we saw The Monkees as victims. The energy had run its course with their old audience. We tried to reconfigure them for the more mature audience who had previously rejected them. The film pioneered some new special effect techniques like polarization and included appearances by Annette Funicello, Toni Basil, Frank Zappa¹ and other stars. The final scene in the film was a live performance of a new song entitled Circle Sky – a rock song written by guitarist Michael Nesmith. Plans were made to film the performance at their upcoming concert at Lagoon’s Patio Gardens (now the Game Time Arcade). The band arrived in Salt Lake City along with co-producers Bob Rafelson and then-unknown Jack Nicholson. Later that day, the group were guests at local radio station KCPX. The next day, 17 May 1968, as technical preparations for the concert were underway, The Monkees rode various rides at Lagoon accompanied by an entourage of Salt Lake City policeman and hoards of fans. Fans were already lining up at the Patio Gardens when it was decided that the venue wouldn’t allow for optimal lighting for the film shoot and the concert was moved about ten miles south to the three-year-old Valley Music Hall (the large dome building visible from I-15 in Bountiful). 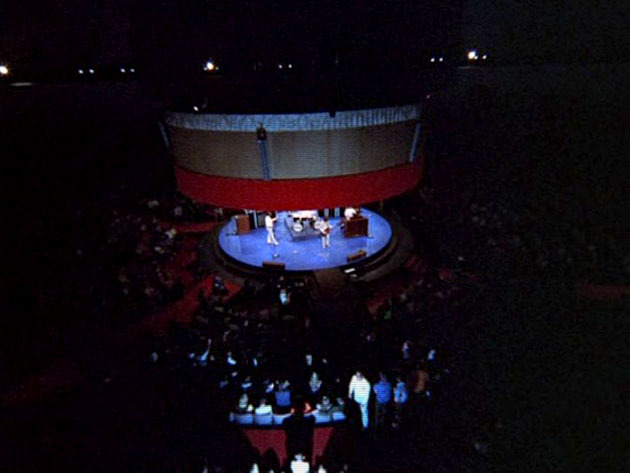 The venue had a circular, revolving stage making for a memorable scene. 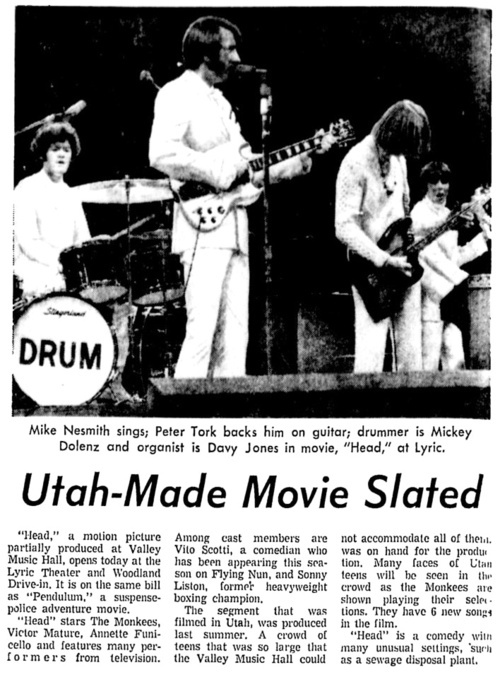 Scene from the Monkees’ film, ‘Head’ at Valley Music Hall in Bountiful. The events of those two days were documented in 8mm film footage and photos by popular rock and roll photographer, Henry Diltz. Some of that footage can be seen in the video below, which is presented with audio of directions being given to the audience who would be a part of the scene. More footage of Lagoon is available on the Jimi Hendrix: The Guitar Hero DVD. Because of the confusion from changing venues, The Monkees returned to Lagoon after filming at Valley Music Hall to perform a free, half-hour set to show their appreciation to the fans. It was estimated that about 5,000 people attended at each location. No one anticipated that night that the performances in Bountiful and at Lagoon would be the last American performances with all four original band members before Peter, and later Michael, left the group over the next couple of years. The title of the movie was changed from Untitled to Head and the band’s name wasn’t really used in marketing campaigns. The film and the soundtrack album largely failed to change perceptions of the band. 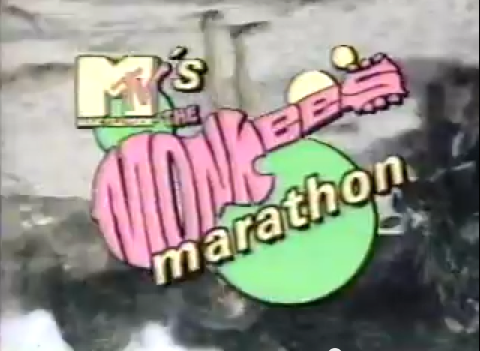 Instead, many found it confusing and The Monkees were basically rejected by the audience they were abandoning as well as the ones they were hoping to win over. As part of the tour, The Monkees returned to Lagoon, this time performing at Lagoon Stadium, on 29 August 1986 along with Gary Puckett, Herman’s Hermits and The GrassRoots. The band continued to record and release music and even the failed movie, Head, has earned a cult following. 1. Frank Zappa performed at Lagoon just two weeks after The Monkees. 2. Because of other business obligations, Michael Nesmith was only able to join the other three at the Los Angeles concert. Many Concerts In Salt Lake. Deseret News, 18 May 1968. Utah-Made Movie Slated. Deseret News, Jan 1969. Spangler, Jerry. Monkees a fad? Maybe, but not a passing one. Deseret News, Aug 1986. Bronson, Harold. Hey, Hey, We’re The Monkees. General Publishing Group, 1996. Head (Original Motion Picture Concert). MonkeesLiveAlmanac.com, accessed 28 Aug 2016. 20th Anniversary Reunion Tour. MonkeesLiveAlmanac.com, accessed 14 May 2018.